Don't settle for less when it comes to protecting the things you love. 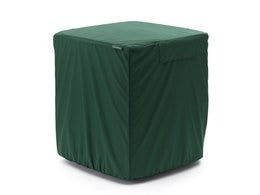 Covermates Elite Rectangular Patio Table Covers are made from 300 denier polyester that is lightweight with super easy on/off. There are no straps or ties that need to be fastened. 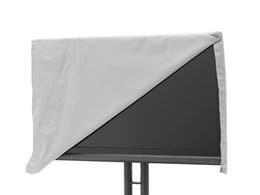 Instead, our outside table covers come with a variety of features like an elastic bottom with adjustable drawcord and dual buckle straps in opposing corners to keep the cover snug and secure. 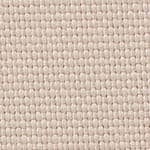 Other features include built-in mesh vents to help circulate air and block mold and mildew, as well as double-stitched seams for added durability. 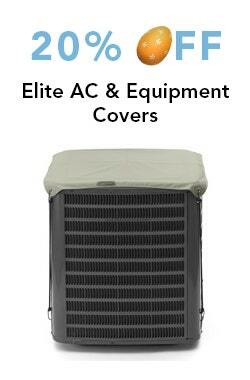 All Covermates Elite table covers come with a three-year manufacturer warranty so you can purchase with confidence. So far, so good! 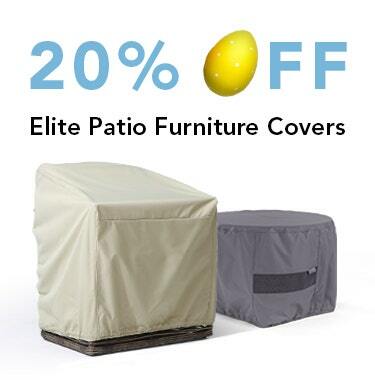 Just got the Elite fabric cover for my patio dining table. Its s nice quality fabric and so far it's stayed on during some wind and rain. Since I've just gotten it and we are barely into fall weather, I'll have to wait and see how it holds up and protects my table in stormy winter weather conditions. super nice and protecting a repurposed table! 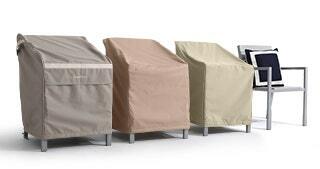 Keep making terrific covers to protect our outdoor furniture! The cover is of excellent quality and a pleasing color. I especially like the leg straps that hold down the cover to a leg, unfortunately, there are only two of these, instead of four. 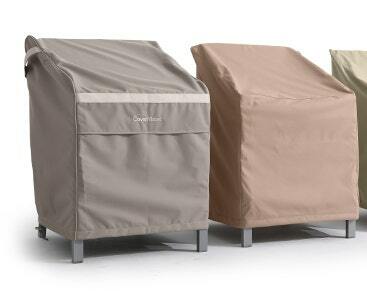 As stated in other reviews, the cover does not fully cover the legs, allowing wind to get under the table and cover. It hasn't been a problem as yet. I have a large rectangular table and was tempted to go with something less expensive. I'm very glad I did not. This cover is made very well and fit the table great. I would recommend this. I have been using this cover for over two weeks for a new outdoor table. Since then it has rained a couple days and I checked under the cover. No sign of humidity yet. So far so good. The cover fit my table perfectly and even allowed for some extra room to put a couple bencghes underneath. Great quality and fit. 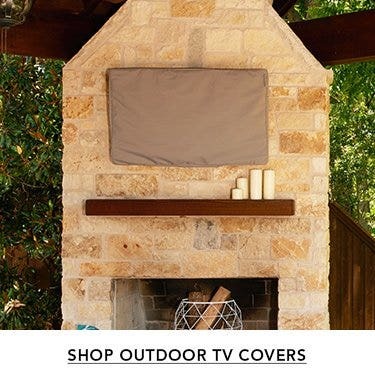 Have purchased several covers from the cover store and keep coming back for additional covers for outdoor furniture because the quality and service is great. First time buyer and product appears to be everything it is said to be. Now for our table to survive a New Jersey winter!!! Yes, we recommend this product. Customer service is excellent. Great quality. Color is very nice. I like the fact that this has holes for circulation. Terrific product. I love it. Fits great. Nice and snug and keeps the rain off my table. Just purchased a few weeks ago. Product fits our table perfectly and is great quality. Easy online ordering. Swift delivery with tracking. Looks well made. Fits well. Product as described. Appears to be very good quality and fit perfectly. I had a warranty on a cover I bought less than a year ago. Dealing with the customer service at The Cover Store for a replacement exceeded my expectations. My unique situation involves covering a teak day bed vs a table cover. Even tho they no longer had the cover in the same size(now make smaller fit), they were willing to help me find the right fit. Took a couple tries, but it worked out great! Thanks again!! I appreciate all your help!! The cover protects our patio table. 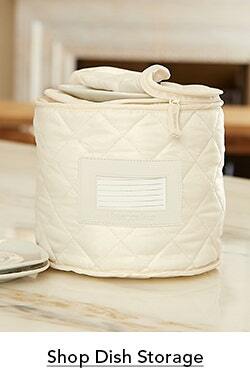 It doesn't extend all the way to the bottom but fits snugly and the material seems solid and durable. Will have more to add after the first winter season. As in the other covers we purchased for 3 patio sets and our spare chairs we received the cover on time, it fit perfectly and we are very pleased. I would continue to recommend The Cover Store. Arrived promptly, fits well, price was good. 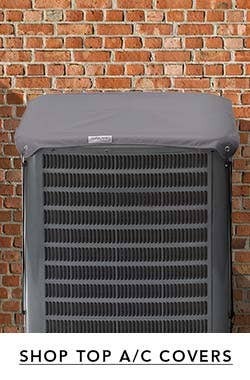 We'll see how it does over the winter although there are good vents and coverage is excellent. My review might be premature because the cover hasn't been tested yet during winter. It fits the table beautifully, however, and seems to be water repellent so I'm optimistic that it will suit my needs. looks good and covers well. we have an odd sized table so its a little big but so far does the job. interested to see If it stays on in a big wind but have not had one yet. may need to get the tie downs to add ties to the legs of the table. Nice cover, elastic fits tightly, very pleased. Great cover. Made well and lives up to the billing. 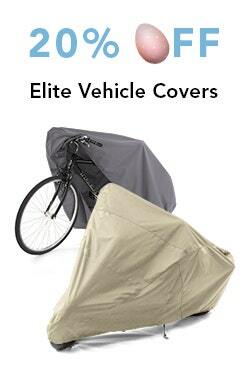 We have purchased several covers from The Cover Store in the past few years and LOVE them! 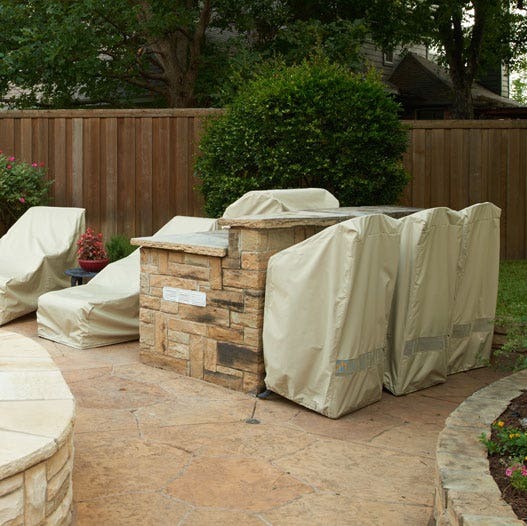 In our hot, dry climate the covers provided with patio furniture that we have purchased have often started cracking after only a year or two, and we have replaced them with covers from The Cover Store. 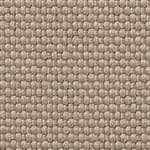 We have the ELITE KHAKI, and they have held up wonderfully so far. I also really like the large variety of sizes that The Cover Store covers are available in! Just purchased so unable to comment on wear. product looks, feels and fits like a quality cover. I bought the cover that only fits on the table. Product very well made and heavy. No eyelets and cords to play with. Fits snugly over the table. Just received table cover and it is very well made. Was delivered as promised. My table is 84 long and the 84" length of the cover is just a little short. I bought it to cover the table in the off season. I hope it does well over the winter." Fit Great! Appears to be a good quality material. The cover is a good quality, and I am pleased with it. I would order from you again.In addition, when I placed the order (on a weekend) I mistakenly ordered two. I placed a note on the order form on the computer, and on Monday morning someone from the company called, confirmed that I only wanted one, and I considered that to be excellent customer service.It arrived exactly when it was expected. The cover is great quality. It is thick and feels durable. Well made, ordering easy, arrived in a timely manner. I had wished the table cover was a little shorter but it works great. Now I have to see if it will stay on for the winter and the wind. The quality is great as always. 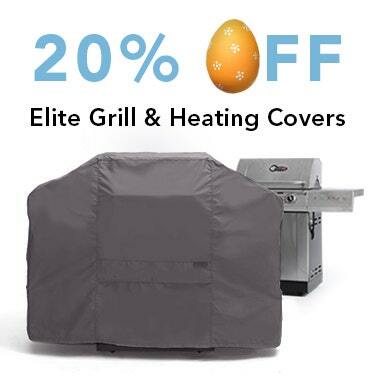 I will continue to purchase outdoor covers from this company, only wish they were a little cheaper. 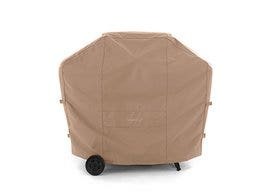 This was perfect solution for covering our teak table and chairs for the winter on Cape Cod on our screened in porch. 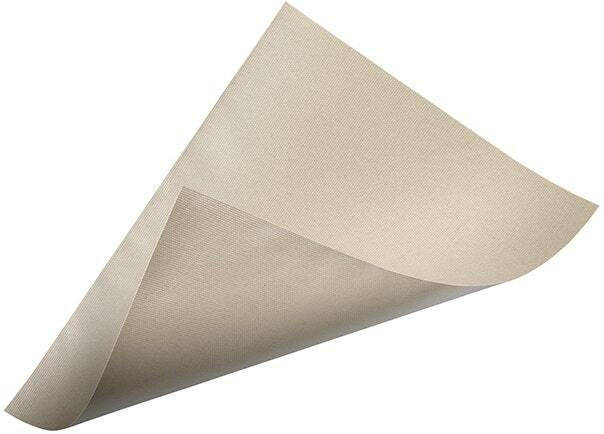 Very pleased with the quality of the product and the company was so efficient with the shipping and communication. Great fit and thickness. Will see how it holds up over the winter. 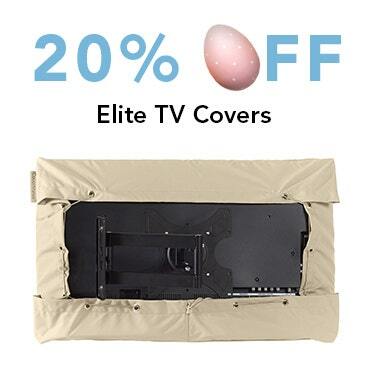 I order all my covers from the Cover Store. We live near the ocean where salt and rust are a problem. Everything has to be covered and kept covered. The covers from the Cover Store are the only ones that do not fade, rip, or break down. Very good quality and even looks nice on the deck.  Great fit for 80 rectangular table...fast shipping. Just what I needed. Thanks." All of the covers arrived within just a few days, neatly packaged and made of more substantial and waterproof material than I'd anticipated. I couldn't be happier with this purchase. We actually bought 2 for an outdoor sectional couch and they fit great and are made well. Nice color and it fit perfectly! We slid the bench under the table and the cover fit the over our table and three other chairs. Would buy again.